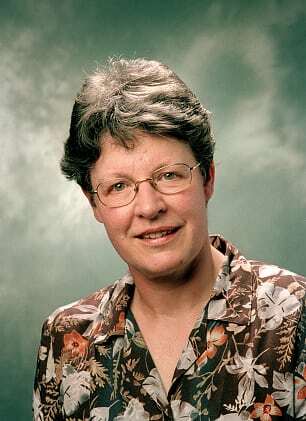 Jocelyn Bell Burnell is an astrophysicist, best known for her discovery of pulsars — rotating neutron stars that appear to ‘pulse’ since the beam of light they emit can only be seen when it faces the Earth. Her observation, made together with her supervisor, Antony Hewish, is considered to be one of the greatest astronomical discoveries of the twentieth century. In 1967, Jocelyn made her discovery using a telescope that she and Antony had originally built to study the recently detected star-like quasars. She noted a signal that pulsed once every second — ‘Little Green Man 1’ — that was later determined to be a pulsar. Antony went on to receive the 1974 Nobel Prize in Physics for his role in the discovery. Jocelyn has since become a role model for young students and female scientists throughout the world. She was appointed to CBE for services to astronomy in 1999, followed by a DBE in 2007. Her story was featured in the BBC Four’s Beautiful Minds, and BBC Two’s Horizon documented her discovery of ‘Little Green Man 1’. Much in demand as speaker and broadcaster. Long experience of women in science issues. Professor Dame Jocelyn Bell Burnell has been elected as the next president of the Royal Society of Edinburgh (RSE). She is an outstanding astrophysicist as well as a prominent science communicator. Her term will start this October, right after the Scottish independence referendum in September.